Marine Innovations is proud to announce the addition of four new dealers. McEnroe Builders is now representing Marine Innovations in Maine. Located in Harbor, Maine, McEnroe Builders has been helping homeowners with their building needs for over 30 years. Mike McEnroe has added Marine Innovations incline lifts to assist his customers with accessing their docks and waterfronts while enjoying the spectacular views of their properties. Mike can be reached at 207-266-7030 or ibuildmcenroe@gmail.com. Accessible Construction is the newest Marine Innovations dealer in California. Located in Inglewood, California, Accessible Construction specializes in residential and commercial barrier-free designs for seniors and the disabled. They are adding Marine Innovations incline lifts to provide the best available incline lifts to their clients. Adam Fine, Accessible Construction president can be reached at 310-215-3332 or adam@accessibleconstruction.com. Johnston Welding Service is the now representing Marine Innovations in North Carolina. Located in Brevard, North Carolina, Johnston has been assisting clients with their dock, boat house and waterfront needs throughout western portions of North Carolina and South Carolina. They now offer Marine Innovations incline lifts to assist their clients connect their homes to their waterfronts. Hugh Johnston can be reached at 828-884-5388 or johnstonhugh@yahoo.com. North Idaho Maritime is now representing Marine Innovations in Idaho. Located in Coeur D Alene, Idaho, North Idaho Maritime has specialized in maritime repair and maintenance since 1918. The addition of Marine Innovations incline lifts allows them to provide a new level of accessibility to their clients. Anthony Zito of North Idaho Maritime can be reached at 208-664-8215 or Anthony@northidahomaritime.com. Marine Innovations is the premier manufacturer of trams and incline lifts for North America, Central America and Europe. Marine Innovations lifts have been assisting clients enjoy their spectacular views and beautiful waterfronts since 1991. Distinct systems are available for residential and commercial environments to address the specific needs of each location. Do you want to see how our systems can help provide the access you require? Contact us: phone: 888-334-4666, fax: 218-334-4670 or email: info@marineinnovations.com. Don’t forget to like us on Facebook! Marine Innovations, Inc. is proud to announce the completion of the commercial tram for La Lancha, part of The Family Coppola Hideaways. La Lancha is a boutique hotel in the Petén District of Guatemala. Located near Flores and only a short drive from the Maya ruins of Tikal and the Maya Biosphere Reserve. The Marine Innovations tram whisks guests from the La Lancha dock to the lodge set in the rain forest above Lago Petén Itza. The tram changes a long car ride to a quick, beautiful ride through the jungle. 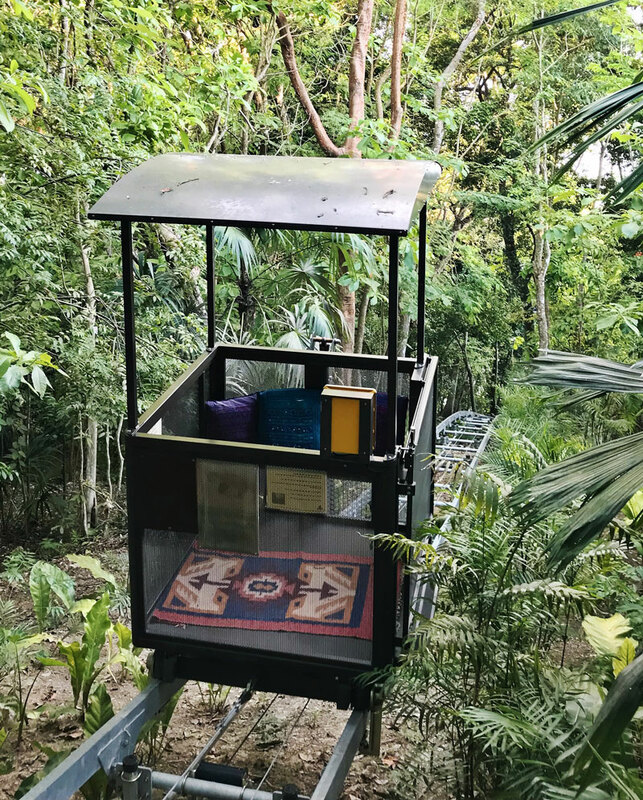 The custom built tram delivers you and your belongings 430 feet through the lush jungle. Taking a few quick minutes from the La Lancha dock to the lodge, speeding you to the beginning of your soothing, relaxing vacation. “Francis envisioned adding to the adventure of the arrival experience here, keeping the mystery of this intimate place tucked into the hillside on the lake. The Marine Innovations tram is the perfect vehicle for that experience.” Christine Gaudenzi, The Family Coppola Hideaways. “Marine Innovations appreciates being included in the La Lancha project. Having our tram utilized by guests in such a luxurious lodge is an honor. We enjoyed working with The Family Coppola personnel throughout the design and installation process.” Mike Botzet, Marine Innovations president. Marine Innovations is the premier manufacturer of trams and incline lifts for North America, Central America and Europe. 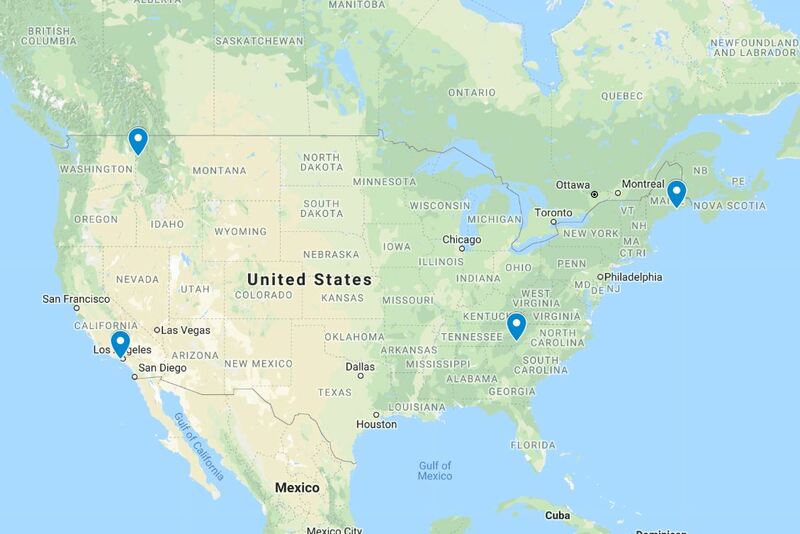 We have a select dealer network across the United States and Canada for sales, installation and service of residential inclined elevator systems in these regions. Marine Innovations lifts have been assisting clients enjoy their spectacular views and beautiful waterfronts since 1991. Marine Innovations offers distinct systems for residential and commercial environments to address the specific needs of each location. Contact Marine Innovations today to see how our systems can help provide the access you require at Toll Free: 888-334-4666, Office: 218-334-4666, Fax: 218-334-4670 or info@marineinnovations.com. Find out more about La Lancha at: www.thefamilycoppolahideaways.com/en/la-lancha. The OMAX 60120 waterjet JetMachining Center will expand Marine Innovations’ production capabilities through quicker parts production, better utilization of resources and the ability to build prototype and low volume parts in-house. Waterjet technology allows Marine Innovations to cut virtually any material with a work envelope accepting stock up to 10 feet by 5 feet. “The addition of the waterjet will help us build both high volume and custom parts in-house to speed production and customize our tram systems to the users’ needs,” Mike Botzet, Marine Innovations president. The Durma ADS 30135 hydraulic press brake will add precision bending capabilities to Marine Innovations’ production floor. The ADS 30135 can apply up to 150 tons of bending force and has a bending length of 10 feet. By bringing this operation in-house, Marine Innovations can shorten production time while maintaining the structural integrity of the material, adding smooth, clean angles as required for the precision parts needed in our hillside tram system. 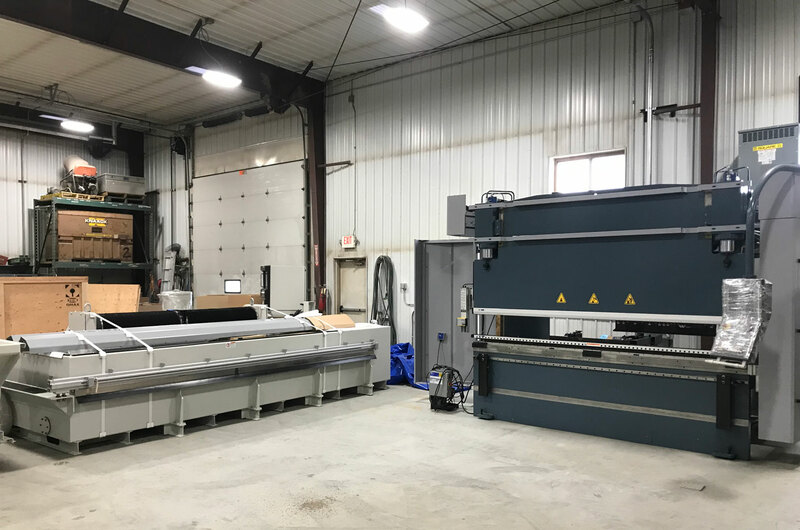 “The Durma press brake will help us better control our production times and let us maintain the quality control that makes our inclined lifts the best on the market!” Mike Botzet, Marine Innovations president. Both machines utilize computer-aided manufacturing to speed the design process and produce consistently accurate parts. Operators will be fully trained to optimize the strengths of these tools and assist the rest of the Marine Innovations production personnel in delivering the safest inclined elevator available. Marine Innovations trams are advanced lift systems that allow people to safely and effortlessly ride from their home to their dock. The addition of these tools will improve production time and customization options, increasing customer satisfaction. Contact Marine Innovations today to see how our systems can help provide the access you require. Toll free: 888-334-4666, office: 218-334-4666, fax: 218-334-4670 or info@marineinnovations.com.